Edward Ruscha arrived in Los Angeles in 1956, delivered by the car trip he and high school friend Mason Williams took in Ruscha’s black 1950 Ford from Oklahoma to the suburban-like stretch of a rapidly developing L.A.
By Jaleh Mansoor, OCTOBER, Winter 2005, pp. 127–42. A collection of flatly laconic snapshots then got strung together and rerouted onto the pages of a book. 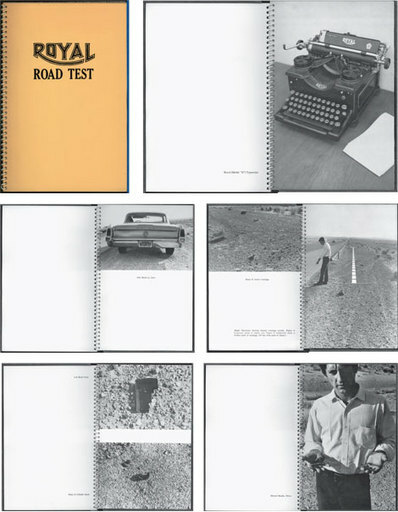 Titled with the threadbare economy of fact, Twentysix Gasoline Stations (1962) is a booklet that presents, or rather fails to present, the road’s physical extension through the connect-the-dots-like points of flat gas station signboards. Although Ruscha already assumed a peripatetic approach characteristic of his later books, driving without adhering to any linear west-to-east route, the terrain between stations, implicit from stop to stop, is never presented to view. While the drive itself was usually linear, starting from the west and heading east, the route in the book drifts free of any such destination-driven order. Succinctly invoking the canned canon of the history of painting, Ruscha said of his organization of the banality of the interstate, “I don’t have any Seine River like Monet. I just have U.S. 66 between Oklahoma and Los Angeles.”2 He nonetheless perversely withholds U.S. 66 from our visual access by physically occupying it. The means of translating the experience of the road to view—photographs of material encountered on the trip—effectively obscures the road itself. The car functions as a frame for everything we see, mediating our perceptual field. The Seine, by contrast, was occasionally the object, the iconography, presented and fetishized in Monet’s painting. It appears in rather than as the field of vision. The renegotiated subjective and experiential dimension of vision introduced in works such as Twentysix Gasoline Stations, Every Building on the Sunset Strip (1966), Royal Road Test (1967), and Real Estate Opportunities (1970) responds to a singular thread in the historical matrix of postwar urban America. To flesh out the viability of locating the car as the mediating structure of Ruscha’s work, I will elaborate on the bankruptcy of established mediums, both painterly and photographic, available to him under the new perceptual and structural conditions of fifties America. The car provided a specific communicative solution at a particular juncture, the most salient feature of which was the irrelevance of previously pertinent artistic mediums such as “art” photography or documentary photography. These changed aesthetic conditions ran parallel to, if not outright internalized, a set of changed socioeconomic conditions in an era of explosive consumerist exuberance. Ruscha’s use of the car emerges as the vehicle for an apparently unlikely staging of subjectivity that exceeds both obsolete models of integrated consciousness on the one hand and the increasingly expropriative demands of the culture industry on the other. Of course, Ruscha had a set of predecessors, the figures of fifties literary and beat culture, who thematized the road as one way of protesting postwar consumerist values. In 1951, Jack Kerouac set his sights on the road with a story of two guys headed west, just as Ruscha and Williams would in 1956. Of course, Ruscha had a set of predecessors, the figures of fifties literary and beat culture, who thematized the road as one way of protesting postwar consumerist values. In 1951, Jack Kerouac set his sights on the road with a story of two guys headed west, just as Ruscha and Williams would in 1956. In his fictional account, entitled On the Road and published in 1957, Kerouac had wanted to express “the soul that journeys along the open highway of America, in search of permanence, of values that will endure and not collapse.”3 Ironically, the very object of advanced consumerism in fifties America—the car—is called upon as the medium of transport away from the flux of commodity culture, which Kerouac characterized as ephemeral, vulnerable to exchange and substitution.4 The journey out west promises, tacitly, to provide distance and furnish a perspective, as it leads toward permanence and enduring values elsewhere. The car not only delivers the protagonists from being situated or implicated anywhere along their travels, but charts them in relation to the grand transcendental terms, indeed the sky, that Ruscha vehemently eschews. Leaving Louisiana to head further west, one of the characters of On the Road asks: “What is that feeling when you’re driving away from people and they recede on the plain till you see their specks dispersing? It’s the too huge world vaulting us as we lean forward to the next crazy venture beneath the skies.” In Kerouac’s quest narrative, the road extends like a vertical line between the nose of the protagonists’ car and a future understood spatially. The field that projects Sal and Dean onward functions like a perspectival line along which they move toward an apex point. Kerouac evokes a traditional organization of depth perspective as essential to the road, which plays a pivotal role in structuring the narrative. His framework, moreover, hinges on a prospective model of perception and cognition.5 Louis Marin develops the idea of a prospective model of vision, in which the formal construction of representation of the world to the self involves three terms: the eye, the object, and the “visual ray” connecting the distance between eye and object. This line, or ray, organizes perception and, concomitantly, investment in the outside field, placing emphasis on a single point at the far end of the ray and diminishing the rest of the perceptual field, which becomes increasingly relegated to the status of undifferentiated ground. Kerouac’s framework depends upon a prospectively bounded subject. That is to say that consciousness and perception remain fully integrated, unified, and mapped along the spatio-temporal coordinates of conventional single-point perspective. The narrative is bound by the faith that this model remains a viable means of engagement with an exterior at that particular historical juncture, as though an “outside,” a space above and beyond systems of equivalence and exchange, existed elsewhere, especially given the protagonists’ embodied situatedness in the car, on the road. Ruscha, by contrast, begins to enact a model of subjectivity in covert resistance to, and in dialogue with, both the proliferation of systems of exchange and Kerouac’s naive denial of those conditions. The manuscript of On the Road embodies Kerouac’s belief in the function of narrative to relay him to a self-determined destination, from a beginning to an end, and beyond that, an ends. According to Kerouac biographer Anne Charters, “Much has been made of the manuscript. Its mode of composition has become a modern myth. It was first written on a 16-foot roll of paper. Kerouac sketched the flow that existed intact in his mind.”6 Here, the mind transposes itself without mediation; nothing complicates the transmittal of thought to hand. Appearing as if magical and “intact,” the narrative proceeds perspectivally from a present to a future. Like the vertical stretch of road up ahead on the highway, it implies the possibility of an internally bounded relationship to the external flow of objects, a controlled distance between inside and outside. By contrast, Ruscha’s books highlight the many layers of mediation through which they are constituted; editing and cropping appear at once arbitrary and yet all the more purposive for pointing to the conditions of the frame as the very matrix of vision. Ruscha’s production responds with implosive violence to both Kerouac’s mid-century version of an individualized Manifest Destiny and the Romantic American dream, and to the object of Kerouac’s own critique, an increasingly ubiquitous consumer culture. This response demonstrates the changing terrain of American culture between 1951 and 1963 through the procedures of occupying and newly configuring the celebrated fifties tropes of car and road to ultimately enact another form of hybrid resistance. 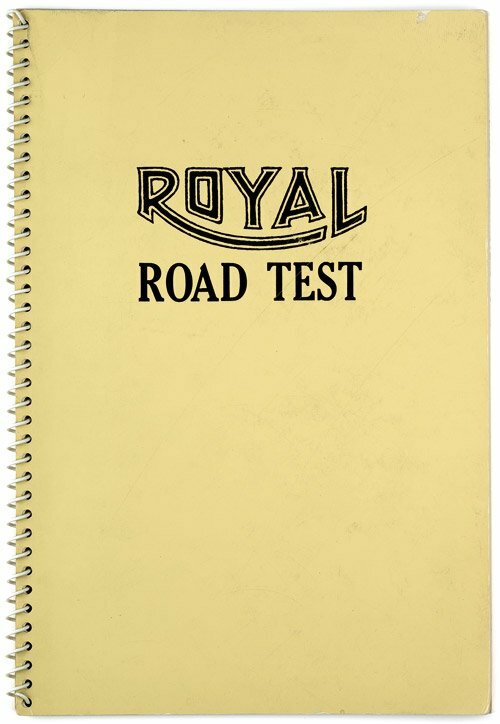 Royal Road Test takes the celebrated Kerouac typewriter and tosses it from the car into the desert, where it breaks against the gravel and becomes so much wreckage, finally part and parcel with the ground. Ruscha and collaborators Williams and Patrick Blackwell then go to great lengths to document the physical traces of the event in its aftermath, which results in a book of photographs of typewriter parts embedded in dirt and sand that occupy the entirety of the frame. The plane of vision is literally smashed into the desert ground. The viewer arrives after the test has happened, to confront wreckage, and the aftermath of violent impact is nonetheless neatly contained in the pages of a discrete book. Two years earlier, in 1965, Ruscha had begun to develop his own use of the car as a medium. He shifted its role from that of a trope reflective of an integrated subject, as it had been in Kerouac’s work, to that of an internally hybridized assemblage of camera, car, and road, which could investigate a new set of communicative potentialities. 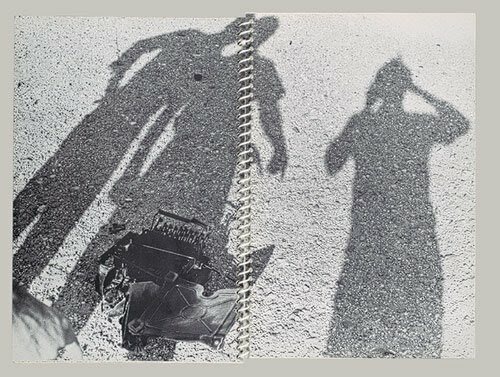 Ruscha suggested first an elision between the car and the snapshot, and then one between the process of collecting photographs in small books and the process of driving as an act of passage. The car figures in the bookwork as the vehicle enabling the act of photography, as if the car were itself part of the camera apparatus, generative of another means of framing experience. Next, in 1966, Ruscha started reeling down L.A.’s Sunset Strip and taking snapshots with a now motorized camera attached to his car. The recorded visual trace of this drive, a bandlike stretch structurally homologous with the extension of the Strip itself, positions our point of view as from the car’s passenger side. The location of the camera, coextensive as it appears to be with Ruscha’s Ford, rotates from the car’s frontal orientation to its lateral window. The accordion format of the book, which suggests a temporal unfurling, mimics the sense of passage implicit in a drive. As the car rolls down the length of the street, it produces a series of images of contiguous spaces horizontally aligned. Entitled Every Building on the Sunset Strip, the resulting piece is organized as two parallel ribbons, one for either side of the Strip. The decision to present each side of the road in this format (separated into two thin bands divided by a wide band of white) further voids any sense of perspective, of buildings that exist in three-dimensional space. The buildings and cars on the Strip take up very little space; the book’s layout prevents any conventional signifier of distance on a two-dimensional plane. At the same time, the suffocating flatness of the exterior world pushes it squarely up against the car window. Having fixed the exterior space as parallel to the car, in contrast to a concept of the car penetrating the space through which it moves, Every Building on the Sunset Strip suggests a nontraversable block between the viewer and the external flow of urban landscape. Outside objects are inaccessible; the car’s movement only ever skims over their surface, never accessing spatial depth to reach them. The buildings and cars on the Strip take up very little space; the book’s layout prevents any conventional signifier of distance on a two-dimensional plane. At the same time, the suffocating flatness of the exterior world pushes it squarely up against the car window. The tiny ruptures between photographic units also insist on absolute flatness. Any coherent perspectival rendering of space—as when a side street draws away in a diagonal line to signify recession—buckles in on itself through a fault line, where two snapshots are grafted side by side to continue the horizontal extension. The stitches between snapshots read like visual pleats that create inevitable imperfections on a clean seamless surface, alternations between continuity and discontinuity that the work simultaneously ignores and emphasizes. The lines between snapshots refuse to conjoin properly in many instances, leaving the trace of Ruscha’s own process of connecting photos together. Sometimes a sign, a billboard, or a car will simply break off (between 8282 Sunset Boulevard and Sweetzer Street, for example), as though it were erased. Through a perceptual crease, the almost seamless piece folds in on itself in minute breaks. And of course this barely noticeable erasure takes place as the photographic apparatus, the camera, snaps to “capture” the presence and plenitude of its material subject. As “the strip” serially unwinds, moments in its temporal and spatial unraveling sink into a nonspace despite, or rather because of, the absolute surface of the photograph squarely reproduced on the printed page. The empirical flatness of the support—that flatness of modernist doctrine meant to preserve the autonomy of the work and differentiate it from the real space of the viewer—begins here to signal flatness as an experiential condition of daily reality, recorded with the bland facticity implicit in Ruscha’s singular approach to photography. Ruscha’s use of the car as a device through which to mediate any understanding of the exterior field of view proposes an internal contradiction, as though the trope of the car had been chosen to drive along a dialectic particular to the mid-1950s: the tension between exuberant affirmation of and resistance to a new mass commodity culture. 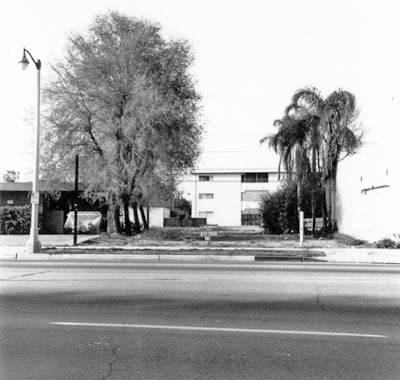 Benjamin Buchloh discusses the affirmative dimension of Ruscha’s work under the rubric of an aesthetics of indifference, as evidenced by the formal logic of the work, in which “the commitment to antihierarchical organization of universally valid facticity operates as total affirmation.”7 The horizontality of Every Building on the Sunset Strip does function as a repository for the unmediated recording of every bit of data on the Sunset Strip. The structural properties of the work are transparent to Ruscha’s failure to manifest not only any conscious authorial intention in how the work is organized, but even to engage in any kind of selection. The subjective agency of the artist, and by reciprocal exchange that of the viewer, becomes entirely voided, spoken for in advance by a set of external forces. Another way of interpreting Ruscha’s car-based books is to see his exploitation of the car-to-road-to-book-of-photographs as an assemblage of choices—within an increasingly limited matrix of possibilities—that frame and mediate an experience of that expropriative “outside,” comprised of a newly leveled terrain, reorganized by highway, dotted with the signage of consumerist abundance, and traversable only by that urpostwar commodity: the car. This assemblage exceeds the logic of total affirmation; Ruscha’s inaugural use of the car as a vehicle mediating active articulation transforms the work’s seeming banal facticity and initially apparent neutral indifference. In other words, the car sets in place, however paradoxically, an apparatus of engagement. The books, after all, are at once marked by the interpolative exterior functions of the road and car, and characterized by a response that resituates the reader/viewer in an experiential dimension of process, even as they present new modes of banality under which the subject must learn to “speak.” The car could not mediate the encounter between vision, the subject, and the exterior field were it to reflect a total determining force brought to bear by that outside.8 The car is reorganized as a vehicle of articulation, rather than as an inert object that renders the subject equally inert as he passively moves through an environment unresponsive to his experience. The questions nevertheless begin to mount: how does the medium of photography account for the books such as Every Building on the Sunset Strip and Twentysix Gasoline Stations? What of their status as books? As objects? Were we to provisionally accept the proposition of viewing the car as the means that generates the work, and mediates the procedures by which the work is made, what are the conditions of the impossibility of deploying previously established mediums such as painting, or even photography? Conversely, what conditions of possibility does the car-as-apparatus generate? The idea of work as mediated through the car that we see in Ruscha’s books confronted a paradoxical problem, a historical moment and context that placed the work of art, in its traditional medium-bound form as painting, sculpture, or “fine art” photography in the tradition of Edward Steichen, under duress. The other context within which to consider Ruscha’s books is the legacy of American documentary photography as practiced under the WPA, which had also lost its relevance in the absence of any immediate motivating factor or contemporary consequence by the 1940s. The mediums that had provided a coherent form through which to speak no longer held the same relevance to the conditions in which Ruscha sought a vehicle for visual articulation. At first, when Ruscha investigated the relationship between the car and the photograph, the two seemed interchangeable, as if one might substitute for the other, and the car could symbolize the photograph. The ’38 Chevy, for example, presented 1938; it exhibited a photograph-like index of that year. Ruscha explains that “there was something about the curves of it.”9 A year old then, he could not have had any actual memories of 1938, but the car nevertheless emerged, a snapshot out of time, a fragment drawn from temporal continuity.10 Cars were like snapshots, mnemonic in the same way a photograph could be, fulgurating with a sense of recognition yet distant, removed from the subject’s own experience. 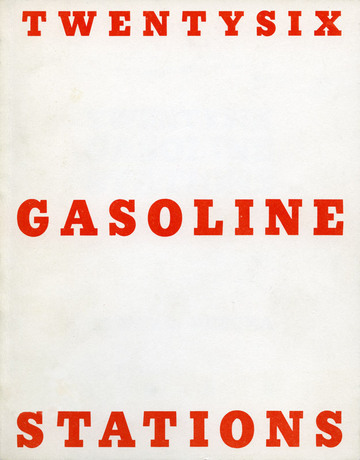 By the time of the many car trips between Oklahoma and L.A. that are recorded in Twentysix Gasoline Stations, however, Ruscha departed from the logic of substitution between the car and the photograph, which was a relationship organized around metaphor. He replaced it with an elision between the car and the practice of photography. Rather than occupying the position as the object at the end of the process of representation, the car becomes the apparatus through which visual presentation is enacted, performed.11 The car’s presence as the structure mediating the possibility of visual production is ubiquitous in Ruscha’s printed work. 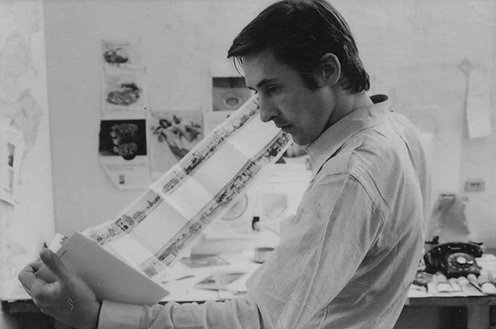 And when asked in an interview with Dave Hickey in 1982 why he failed to complete a particular work, Ruscha replied, “It’s probably too late, I think I missed the exit, the off ramp. I just can’t get it finished from where I am now. Maybe I’ll drive back around.”12 Reprinted on the flatbed of the page, the printed surface collapses with the road; the two fold into one another. 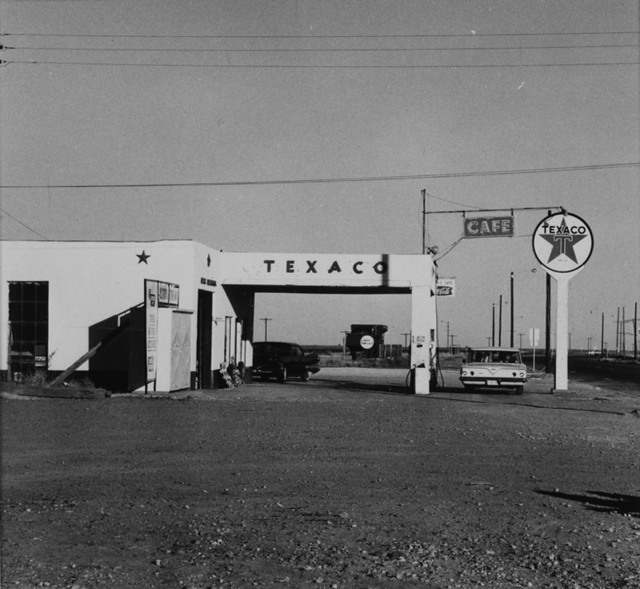 Edward Ruscha, Texaco, Vega, Texas, 1962, from Twentysix Gasoline Stations, 1963. 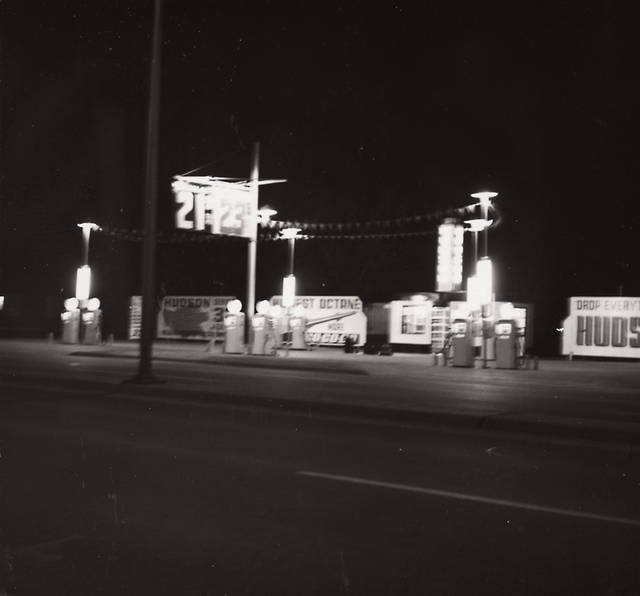 Edward Ruscha, Hudson, Amarillo, Texas, 1962, from Twentysix Gasoline Stations, 1963. Every Building on the Sunset Strip participates in the temporal entanglement that photography permits, that of a continually present-past tense. For the piece freezes the Sunset Strip in the stasis of the continual present, even as the images derive from the irretrievable instant in which the camera shutter clicked. The Strip nevertheless further complicates matters by performing a sense of future as the pages accordion outward. Past, present, and future are drawn out of their relationship of consecutive succession and exposed as simultaneous, as frozen in a single ribbon.16 This simultaneity must be differentiated from the simultaneity of the “pregnant moment” in narrative painting. Where the moment invested with all of the weight of narrative possibility presents the intersection that discloses the past and suggests the resulting future, Ruscha’s simultaneity operates as a nonclimactic unfolding devoid of causal sequence. This band form engendered by the car’s movement does indeed have its own history as Other within the division of modernist mediums. The possibility of the coexistence of spatiality and temporality in a single form plays the part of the repressed within Enlightenment aesthetics, as assimilated to the modernist work of Clement Greenberg and later Michael Fried. Gotthold Lessing’s Laocoon (1766) defines the inherent limits of poetry and the visual arts along the axes of spatiality and temporality, a priori assuming their fundamental mutual opposition. Through its extended, temporally successive unfurling, coupled with the stasis and spatial simultaneity of the stretched-out whole, the horizontal band fails to recognize the spatial and temporal as two discrete and oppositional registers. For Lessing the scroll form (such as the scrolls that issue from the mouths of figures in old Gothic paintings) carried the remnants of pre-Enlightenment imagery.17 Here, the scroll conveys the failure of representational logic through its hybridity and ambivalent state as both spatial and open to temporal passage. In Every Building on the Sunset Strip, the horizontal band’s procession is not governed by a reassuring model or template replete with its own internal plenitude (such as the book or the photograph), or its own coherence as structurally spatial or temporal. Photography and the book are at odds as the work negotiates the space between these discourses or determining structures, and thereby ultimately exceeds them. It does not occupy or reference a previously opened cultural space, or advance a signifiable object or form. Rather, it elaborates its language and form as it works in passage, and transforms itself in process. In other words, as it unravels, it elaborates from within itself an other. The floating band of Every Building on the Sunset Strip is cut away from a starting point, or an origin, that would explain it and lend it a sense of proper cause, and likewise lacks an end that would provide closure. It appears to take place in a zone void of any external orientation, any ground. As a fragment of a continuous stretch, the work surfaces as the articulation of passage. As such, it does not occupy or reference a previously opened cultural space; rather it elaborates its form as it stretches outward. As a ride down Los Angeles’s Sunset Strip, the piece also expresses temporal passage experienced as “between times.” Time—duration—is suspended and captured in an instant that is liminal. It opens onto another instance of time and space, the passing instants of an exchange, a process. The book itself surfaces as a function of the road as the two terms map onto one another. The book format is defined by motion; turning a page propels the text as it displaces it. Passage thus determines the logic of the car’s movement, which in turn generates a horizontal band structure suspended in a tension between pictorial spatiality and temporality. Ruscha’s work thus troubles photography’s static logic, and paradoxically reconstitutes it as “going on a little trip,” necessarily dilated through time and space. What are the conditions enabling, or requiring, even, this hybrid modality long banished from modern aesthetics? Ruscha’s printed work inaugurates a communicative structure responding to the rhythm and particular exigencies of the historical matrix of postwar urban America. Points of intersection emerge with new spatial and perceptual structures of the 1950s American context. Of course it is difficult to distinguish a cultural history of the 1950s and ’60s from the omnipresent topos of the car and the road. Postwar America saw the sudden introduction of the car into almost every household as the middle class somehow became (mythically) universal. On a concrete level, one of the federal government’s first national projects after the war was to harness contemporary military technology to terrace and level the land in order to install a nationwide webbing of interstate highways. The highway, and its role in the creation of American suburbia, fed into and off of the accelerated postwar production and consumption of cars, that emblem of Taylorized ’50s culture. Postwar modernity’s quintessential commodity object, in turn, produced a model of subjectivity. On the register of individual experience, the car naturalizes a sense of perception in movement: a new understanding of motion became integrated into the driver’s everyday perception, thereby tailoring subjectivity to assimilate new modes of sensory interaction with everyday objects and everyday spaces. This model of vision becomes an experiential norm. Given this perceptual norm, is it possible to resist the interpellative force of the car and the road? Can the assimilation—a totalizing imprint into every recess of daily sensory perception constituted around car-generated experience—successfully suppress any model of a resistant subject? Aren’t there other perceptual schema that are brought to bear on one’s experience of the car, of the road? What would happen if a “metaphorical vehicle were borrowed in order to take a spin in reality?”18 Could an actual vehicle be borrowed to take a spin in reality, or better, to reroute reality? The book and the topos of the car already occupied an interlocked relationship within modernism. Tracing the evolution of printed media, Walter Benjamin noted, “Centuries ago it began lying down, passing from the upright inscription to the manuscript resting on sloping desks before finally taking to bed in the printed book.”19 Benjamin’s investigation of the flat page takes place in an essay entitled “EineBahnStrasse,” or “One-Way Street” (1928). This text is comprised of aphorisms, observations, and memories assembled between 1924 and 1928 and connected in the essay by the single thread of a metaphor of a car driving through a landscape of perceptions, thoughts, and interpretations of modern life. The essay suggests a topographical consciousness where the temporal unfolding of thought is mapped onto an idea of space explored, as well as onto the concrete space of the printed page. At the same time, Benjamin notes the potential obsolescence of the traditional book medium, and calls for new, more readily accessible forms of literature relevant to a new industrial mass society. “One-Way Street” begins with a gasoline station. The author is filling up as he prepares to set out on the road, recast in the essay as the stretch of print on the page over which the author traverses a field of thoughts about modernity. The car becomes the vehicle through which the subject opens onto and addresses the exterior world and the reader. Benjamin draws the following analogy: “Opinions are to the vast apparatus of social existence what oil is to machines: one does not go up to a turbine and pour machine oil over it, one pours a little over the little hidden spindles and joints that one has to know.”24 In other words, the weighty book, its internally centered totality, represses the hidden, subtle contradictions of modernity. Benjamin’s car traverses and dismantles, through the juxtaposition of fragments, the synthetic ideological whole. Yet, true to dialectical form, this evocation of interstitial text, generated by that ride down a one-way street headed to modernity in order to come to terms with modernity, anticipates its own disappearance and appropriation. Having cast the book’s emergence in a radically emancipatory light, Benjamin predicts horizontally-oriented print’s imminent absorption into the totality of capitalism’s image culture. He traces the utopian horizontalization of print to point out that now “it is pitilessly dragged out onto the street by advertisements and subjected to the brutal heteronomies of economic chaos . . . it begins just as slowly to rise again from the ground. The newspaper is read more in the vertical than horizontal plane, while film and advertisement force the printed word entirely onto the dictatorial perpendicular.”25 In other words, Benjamin’s investment in text-as-road exposes itself as an insistence upon the critical import of a horizontality suggestive of process—as the process-oriented act of reading insists upon—within image-driven modernity. Benjamin’s evocation of text as horizontality, and horizontality as an experience of passage and movement, becomes a way of moving through the biaxial tension between the actively traversed text and the passively received flood of advertisements—understood as the authoritarian perpendicular—while simultaneously rejecting irrelevant and outmoded forms of literature such as “the pretentious… book.”26 Cast as a passage from one cultural space to another, the text doubly plays the role of a car passing by on the road. While Benjamin’s assertion that the experience of modernity, or the evolution of forms of daily existence, requires corresponding new forms of cultural articulation and critique, Ruscha’s work operates in tandem with newly evolved postwar modes of perceptual experience. Nevertheless, Ruscha’s work threatens to collapse Benjamin’s dialectic by driving it to the point of working against it; he reconfigures the horizontality-of-road-as-reading-and-moving to the point of almost stasis and total flatness. Yet, having arrived at an extreme position, Ruscha’s car proposes another internal contradiction. The Sunset Strip participates in the logic of general equivalence of late-twentieth-century image culture, insofar as it posits a serial organization that renders all of its terms equal in an external, undifferentiated flow. On the other hand, that seamlessness is willfully pressured from within and ultimately deferred by the band structure’s failure to internally unite. Real Estate Opportunities (1970), a work generated by driving peripatetically from place to place, also elaborates this notion of passage. The book is composed of twenty-five photographs of twenty-five parcels of land that were on the market at the time. This also characterizes the kind of vacancy—on the part of the subject as well as the historical moment—that forces articulation of the condition of the interstice through which expression, now divorced from the traditional mediums that would have delivered it, comes to be. For there is no ground, no a priori given, such as a medium, with a historically constructed language on which to draw. This mode of expression, the peripatetic ride over interstitial urban spaces, is not articulated through a medium or form ready to present it to view. This mode of expression is not the result of intentionality (bounded in an awareness of cause and of finality), but emerges now as something contingent and singular. The lots nevertheless surface as sites of flickering momentary resistance. Ruscha photographed these spaces on the very cusp of their reintegration into systems. The “for sale” signs reference a seemingly monolithic system of consumption that will absorb each space and eventually spit them out again as entropic waste product. But those very ephemeral instances themselves suggest a vestigial and contingent space for the subject. Like the horizontal band of Every Building on the Sunset Strip, generated by the camera/car as it continues on, they fold out of the flat omnipresence of an endlessly expropriating social system, and simultaneously pose a split second of dissonance within the obsessive order of the drive to urban form. The band as road, as passage, participates in a temporal cycle where its predictions for the future consume the very conditions of its inception. The road, as a segment of passage, remains suspended in its coming and going. The car only ever arrives or departs; it never becomes part of a site, a location. Critical to Gordon’s narrative of the history of the West Coast sixties is her placement of Ruscha in the momentary stitch barely connecting the naively utopian before and the resigned and affirmative after characterized by the increased corporatization of youth culture, of the rise of the culture industry at large: the apparently seamless harnessing of culture and the accompanying metamorphosis of the Sunset Strip. In Gordon’s dialectic, Ruscha occupies the connective tissue, the momentary passing through, between the terms rather than the body proper of any term. His is the undercurrent that snaps in the blink of the camera’s shutter in the car’s passage over the road, the desert on fire, the ground welling up and then receding again. A structuring characteristic of the car-as-medium is that it does not present a still, fixed form. The simultaneously fragmentary and timeline-like unfolding of Every Building on the Sunset Strip emerges from this construction of temporality: the car drives through space that yields to time. Twentysix Gasoline Stations, Every Building on the Sunset Strip, and Real Estate Opportunities articulate the fragment that wells up in the blink of the camera’s shutter and then recedes as the car passes over the road, a segment in its incompletion. 1. Eleanor Antin, “Reading Ruscha,” Art in America 61, no. 6 (November–December 1973), pp. 64–71. Antin points out that many of the photographs were shot from outside the car, and across the road. The mode of visuality internalized by occupying the car nonetheless conditions, if not outright structures, these photographs. 2. See Edward Ruscha, “A Conversation Between Walter Hopps and Ed Ruscha, September 1992,” in Romance with Liquids: Paintings 1966–1969, exh. cat. 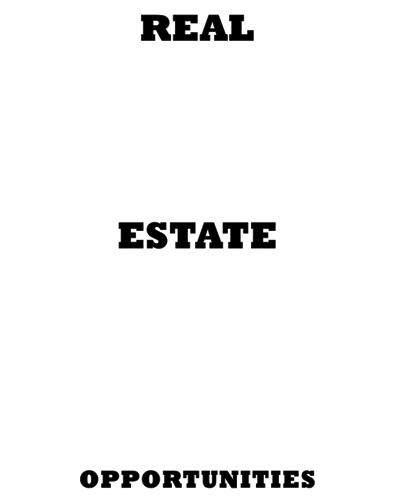 (New York: Gagosian Gallery and Rizzoli, 1993), p. 100; reprinted in Ed Ruscha, Leave Any Information at the Signal: Writings, Interviews, Bits, Pages, ed. Alexandra Schwartz (Cambridge, Mass. : MIT Press, 2002), pp. 312–328. 3. Regina Weinreich, The Spontaneous Poetics of Jack Kerouac (Carbondale: Southern Illinois University Press, 1987), pp. 40–41. See this volume for an analysis of On the Road, including Kerouac’s own appraisal of his aims in that particular work of fiction. 6. Charters in Weinreich, The Spontaneous Poetics of Jack Kerouac, pp. 40–41. 7. Benjamin H. D. Buchloh, “Conceptual Art 1962–1969: From the Aesthetics of Administration to the Critique of Institutions,” October 55 (Winter 1990). Buchloh’s interest in Ruscha nevertheless appears to exceed the limitation of these categories as well. (Summer 1997), pp. 5–33. “Can one ‘invent a medium’ without believing in the redemptive possibilities of the newly adopted support itself? Can something function as a medium, if it is not a vehicle of expressiveness but only a target of attack?” (p. 10). The car could not function as a communicative vehicle were it completely interpolative, rendering the subject passive, as object. 9. “I was born in ’37, so I have no personal recollections of it, but the ’38 [Chevy] just somehow stayed with me. 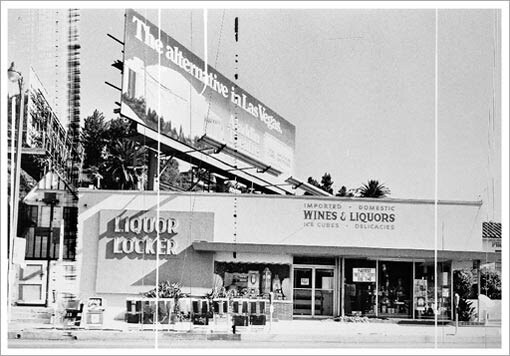 I’m not sure what it is—it’s a snapshot out of time” (Ruscha in “A Conversation with Walter Hopps,” p. 99). 13. For a discussion of “discursive space” as a discursive formation, as a system of rules set into operation through assumptions about the spaces in which the object in question was to circulate, see Rosalind Krauss, “Photography’s Discursive Spaces,” in her The Originality of the Avant-Garde and Other Modernist Myths (Cambridge, Mass. : MIT Press, 1985), pp. 131–50. August 27, 1972, p. D12; reprinted in Leave Any Information at the Signal, pp. 46–51. 15. Ruscha refers to photography as “an excuse to make a book” in numerous journals and sketchbooks. 16. This simultaneity would have to be differentiated from the simultaneity of the “pregnant moment” in narrative painting. Where the pregnant moment represents the weighty, almost climactic moment in the narrative that discloses the past and suggests what will take place in the future as a result, the scroll is not a chain of causality. It operates in Ruscha as a flat unfolding devoid of causal sequence. 17. Gotthold Ephraim Lessing, Laocoon: An Essay on the Limits of Painting and Poetry, trans. Edward Allen McCormick (1766; Baltimore: Johns Hopkins University Press, 1984), p. 78. 18. Denis Hollier raises the idea of a “metaphorical vehicle to take a spin in reality” in The Politics of Prose: An Essay on Sartre, trans. Jeffrey Mehlman (Minneapolis: University of Minnesota Press, 1986), p. 3. 20. Ibid., pp. 85, 74. 21. Benjamin’s point echoes a theme raised in Hollier’s The Politics of Prose, p. 3. 22. Benjamin, “One-Way Street,” p. 61. I am formulating a fugitive model of subjectivity that begins to come to terms with both the proliferation of systems of exchange and a naive denial of those conditions (as in Kerouac). See also Bois, “Thermometers Should Last Forever,” this volume, pp. 60–80. 29. Kim Gordon, “American Prayers,” Artforum (April 1985), pp. 73–78. Posted in Essays, Painting and tagged Ed Ruscha, Jaleh Mansoor, Los Angeles, Photobook, Pop Art, Southern California, Sunset Blvd.